Psychologists have long known that the sensation of being watched makes people more conscious of their own behaviour. In 2006 researchers at Newcastle University found that people put almost three times as much money in canteen “honesty boxes” when a poster was placed above the box showing a pair of eyes. In the twenty first century we are able to use technology to truly benefit from this trait. But in few areas is that more obvious than in fleet management. Telematics are commonplace in fleets of vehicles, allowing firms to monitor hard-braking events, hard cornering, harsh acceleration, speeding, the time of day that drivers are usually behind the wheel, where they are driving and more. 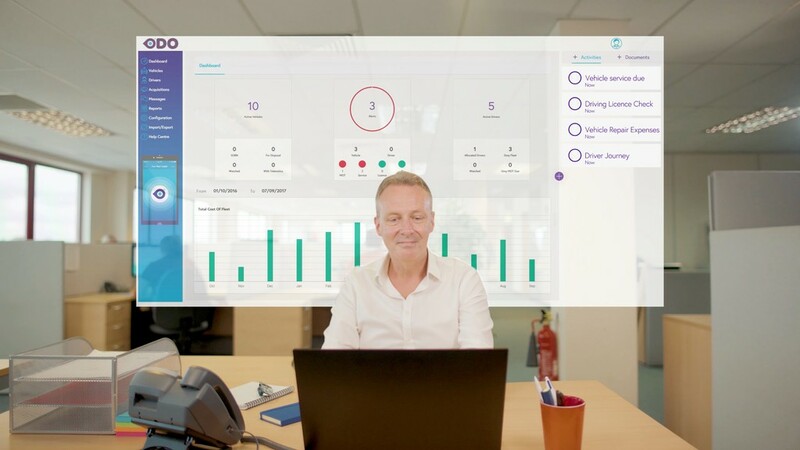 Collecting and analysing data from across a business can help deliver insights into where it stands in comparison to its competitors, its own past performance and the performance of its drivers. Driver training has traditionally been, and by and large still is, the cornerstone of companies' risk management strategies. But telematics has allowed training to become more tailored and more specialised. If you know a particular driver's foibles it is easier to correct them. If you know a particular vehicle has done a lot of miles then you should be better prepared for maintenance issues. ODO is a new application, launched earlier this year, but it comes from established company Drive Software Solutions. Completely mobile-ready, ODO has been designed for use by HR directors, finance managers, company owners and, of course, fleet managers. 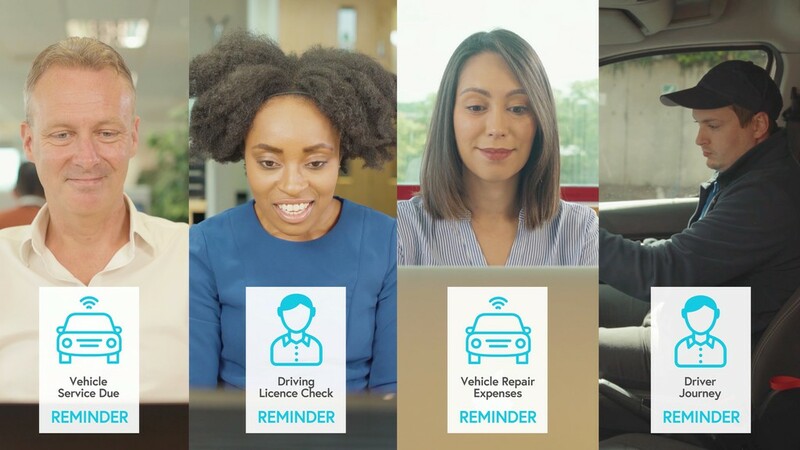 The platform allows users to check that all is in order with company drivers and the vehicles being used have up-to-date MOTs, insurance and service records. It monitors journey details, tracks costs, vehicle usage levels, and licence checks. For most users of ODO, the fact that they have a fleet is almost totally incidental to their business. Yes, they have some company vehicles but compared to what the business does, the cars are a very minor consideration, often they are a remuneration benefit for staff retention. Many firms are even moving away from company vehicles, relying on staff to use their own cars and claim back expenses as and when they need to. Business journeys are still happening, just not in company cars. And here’s the rub, if you asked them, most company directors would say that because they are not providing staff with company cars, they don’t need to give the subject another thought. And many don’t. But the reality is, if those company directors want to sleep easy at night they should have some basic processes in place to be able to demonstrate duty of care. And that’s where a fleet management system like ODO comes in. "All those people who drive their own cars for work-related journeys are referred to by those in the know as the 'grey fleet',” Gordon Lyster, general manager at ODO, says. He continues: "Outside of the specialist fleet industry, most people have simply never heard of the term 'grey fleet', but the fact is it is the business equivalent of a hand grenade with a loose pin. "How so? Well if you rely on your staff to have valid driving licences and to tax, maintain and insure their own cars, what could possibly go wrong? It’s not like an employee might keep quiet about having lost their driving licence, and they wouldn’t forget to pay their insurance premium. Actually that sort of thing is pretty likely. "The average user of ODO has 44 drivers. That is 44 different life stories, 44 different financial positions, 44 different sets of personal priorities. It only takes one of those drivers to 'forget' to tell you that they have lost their licence, or to 'forget' to insure their car and if a crash happens to them while out on company business, and a third party is involved, you could well have a visit from the Police who will want to know what if anything your company was doing to ensure that drivers were compliant with the rules and regulations. "In that situation, most businesses would have absolutely no way of demonstrating that they had any system in place to remind drivers about their responsibilities or to check that they were licenced, insured and driving road-worthy vehicles. Some companies would be able to produce an excel spreadsheet showing that at some point they had checked the various driver and vehicle documents, but most of those would be unable to prove when it had been done. On top of that, with the general business of corporate life, it is all too easy to miss new starters from the lists of drivers who need checking and to neglect to re-check documents at any regular frequency." Lyster concludes: "Best practice suggests a system like ODO, used to automate those processes will prevent minor administrative lapses in the HR department from becoming bigger issues that might have custodial consequences." David Richards, however, says the best starting place when it comes to driver safety is compliance. AA Drive Tech's head of marketing explains that this gives you a firm foundation to build a proper road risk policy on. “The Road Traffic Act 1998 Section 87 says that it’s an offence to “cause or permit another person”, such as an employee, to drive a vehicle without a valid licence,” Richards says. “So, if you want to start your journey and ensure you’re legally compliant, it’s a great place to start. “The game changer was in February 2016 when sentencing guidelines for health and safety fines changed to one that takes into account the turnover of the company involved. Almost immediately the fines have dramatically increased to the extent that Travis Perkins TCL were recently fined £2,000,000, with £115,000 costs, when a customer was killed by a company vehicle on their premises." Health and safety legislation, arguably more than Corporate Manslaughter legislation, is now what fleet managers should be most concerned about. Richards continues: “The Health and Safety at Work Act 1974 requires employers to take appropriate steps to ensure the health and safety of their employees and others who may be affected by their activities when at work. This includes the time when they are driving or riding at work, whether this is in a company or hired vehicle, or in the employee’s own vehicle. “The Management of Health and Safety at Work Regulations 1999 requires 'the risk assessment to be reviewed periodically to ensure it remains valid. Employers should consider the risks to employees on the road in the same way as for those in a workplace'. Richard Gladman, head of driving and riding standards at IAM RoadSmart, agrees that a comprehensive approach is needed. He says: "The combination of online risk assessments and vehicle telematics technology is capable of gathering an immense amount of data on a driver, covering everything from their knowledge and attitudes to their fuel usage and average speeds. Fleet managers are keen to gather this data, often driven by a focus on cost management, and businesses are often persuaded to invest in the technology by the promise of improved efficiency and reduced incident rates. "However, many are unaware of how to interpret the resulting data, or are unable to take any steps to address the underlying poor driver behaviour and the technology is essentially wasted. This may be due to a lack of in-house training resource, or the lack of a health & safety policy that requires training interventions for drivers found to be high-risk, but either way the end result is that the technology fails to fulfil its purpose." He adds: "IAM RoadSmart’s focus on improving driver behaviour has led to the formation of an ongoing partnership with a leading developer of interactive telematics systems (Lightfoot) which is not only capable of gathering data on a driver’s behaviour, but can also monitor driving style and offer the driver an audible warning if their acceleration is harsh and therefore detrimental to efficiency. Deployed on its own, the system is somewhat effective in influencing a driver’s actions, but its effects can only be optimised when the driver has been made fully aware of how to interpret the warnings and of the driving techniques they should employ." While training is a vital part of a road risk programme it can be tricky to get it right. 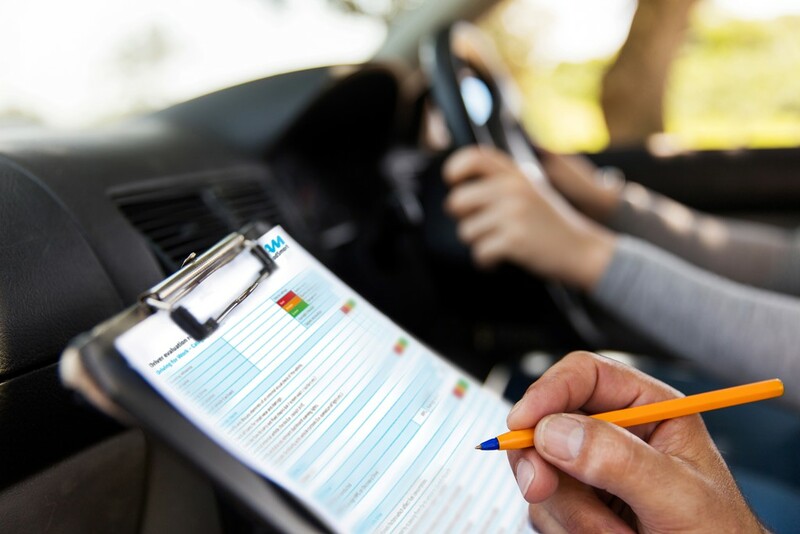 As Gladman says: "We know from our experience working with fleets that many business drivers resent being sent for on-road training, as they do not wish to have their driving scrutinised." He adds: "It is up to the trainer to reinforce the importance of each driver’s behaviour to their own safety, as well as the other personal benefits, for example the health benefits associated with reduced stress levels. If the driver buys into the process and accepts the input as a life skill the benefits will definitely be there as changes are more likely to be ongoing."